Like food, cloth, shelter education is also a basic right of human being. For any nation first and foremost requirement is education. From this viewpoint our Bangladesh is a very backward condition. Illiterate people can be termed as cursed in both personal and national life. If we cannot rescue them from this curse we cannot be a developed nation as a whole. So we need practical measures to make our people educated. In this essay tried to focus on various problem aspects of our education system and provide some suggestion. Education is the backbone of a nation. Achieving morale ethics and human resources development education is badly needed. 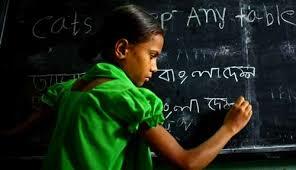 In a developing country like Bangladesh education is the foundation of all development. Fulfilling a person’s personal need, performing appropriate role as member of family and society, improvement of sensibility about the responsibilities as a citizen, patriotism, nationalism, world humanity, non communality and enhancing respect for people and human rights at least basic education system is required. D. in addition to open and national university some private college and university is established. E. Co education system is established. G. Modernization of madrasa education. H. Huge change in education administration. J. use of electronics and computer. K. for the expansion of female education scholarship is now given. A. Distribution of books of education boards. Our students are often seen they don’t get their books even after 2 or 3 months of their session year. B. Vindictive politics in this sector. C. Terrorism and extortionism by some student called rouges. D. Coaching centre, kindergarten note book, private tuition, changing education into business. E. Session jam for vindictive student politics, hartal , srike etc . F. Copying and adopting other unfair means are now became tradition. It’s a matter of great regret that even some teachers help in such dirty activities. A. Making public of all the primary schools. B. From class 6-10 education to be one way with out any specialization. D. Except university employment of teachers by an impartial and independent commission. E. Salary, promotion, terms of job should be enhanced to respectable standard. F. Making sure that child aged 5 years is in the school. G. Training of teachers in every level. H. Quality development, increasing the education scope in the villages. I. Establishing a model school in every upozila. J. Using technology in the primary and secondary school’s. L. Spreading of educations that help in life. A. We need a national education policy to implement the suggestions made by various commissions in various times. B. Curriculums and education level should be determined in relation with the need of society and nation. C. Accepting religious ethics as the basis of life ethics. D. Taking measures to stop drop out. E. Modernization and development of madrasa education. F. Taking steps to stop brain drain. G. Restructuring examination system to stop copy or any other unfair means. H. Band notebooks, tuition, and coaching centre. I. Enhancing the responsibilities and respect of teachers. J. Stop politics and bureaucracy from education administration. K. Increase facility and logistic support. L. The objectives of overall education system should be making an honest,ethical and competent human resource not a burden for the nation. For the overall development of Bangladesh spreading of education is a must. We need an education system which will provide us courage and energy in our journey of life and also provide intensity at work. So if we can solve the existing problems in our education system there will be an increase of overall education rate as well as improvement in the morale ethics and human resource development.